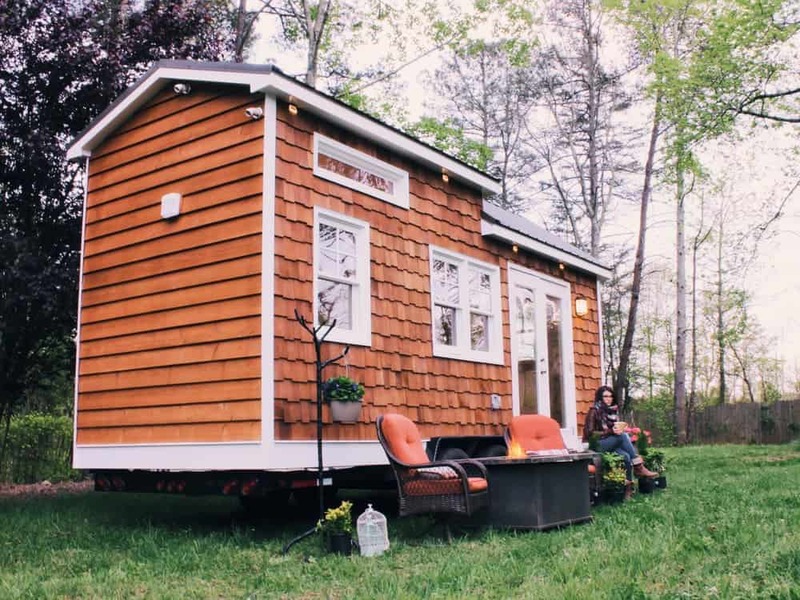 Zac and Caitlin’s tiny house journey began without even a single step – it started on the couch during repeated Netflix viewings of Tiny: A Story About Living Small. 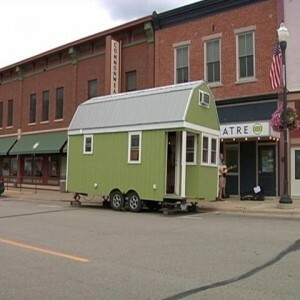 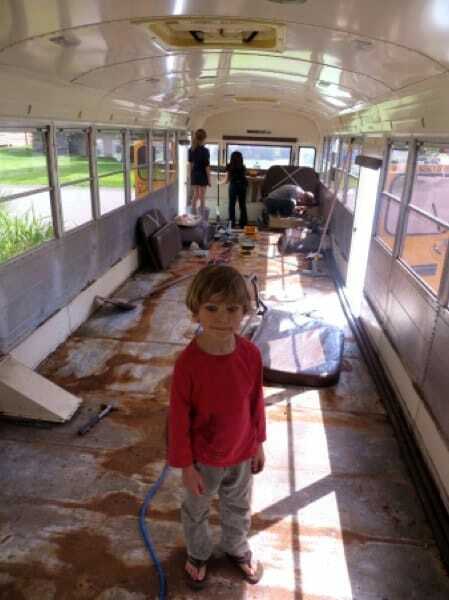 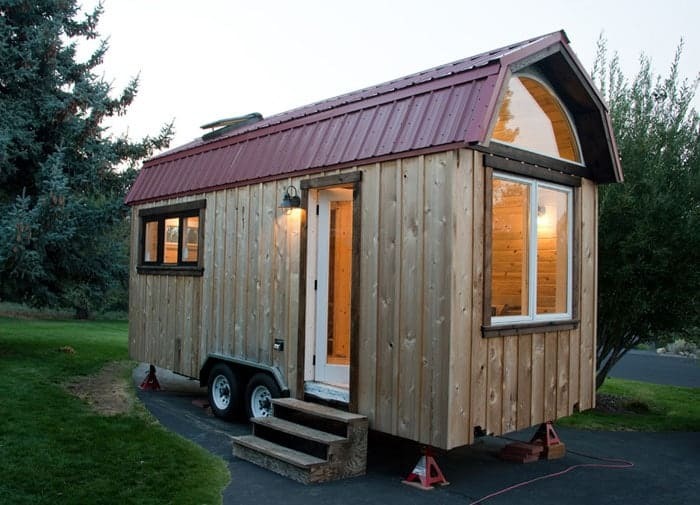 Onerous mortgage payments and the financial demands of two small children provided the rest of the prompting, and in March of last year the Minnesota couple put their large house on the market and left to attend the Tumbleweed Workshop in Madison, Wisconsin. 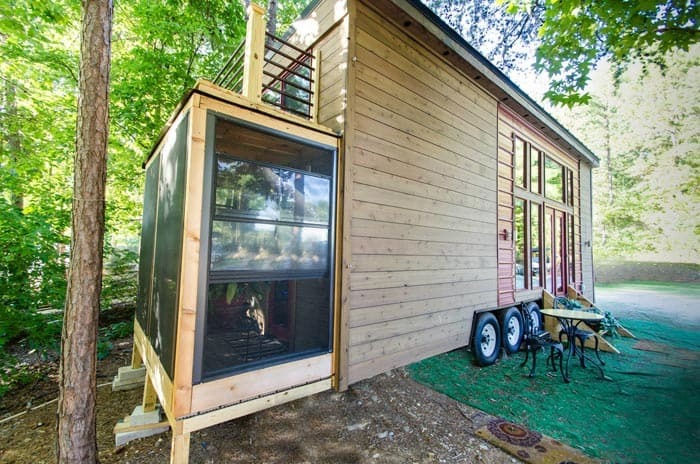 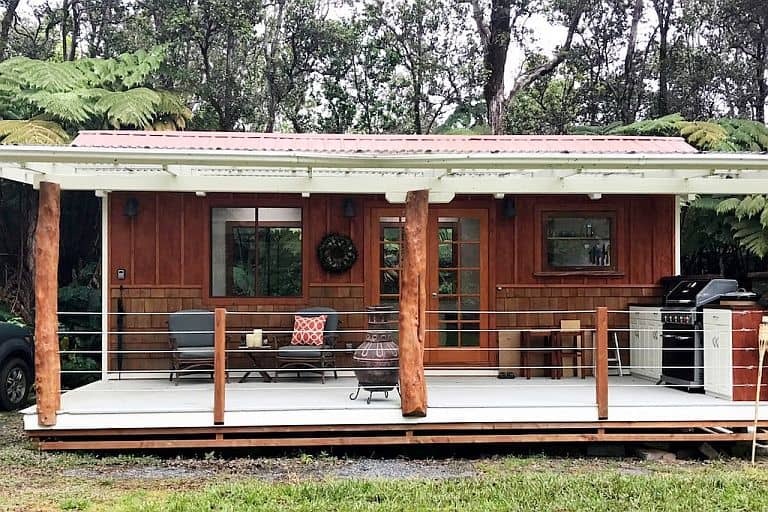 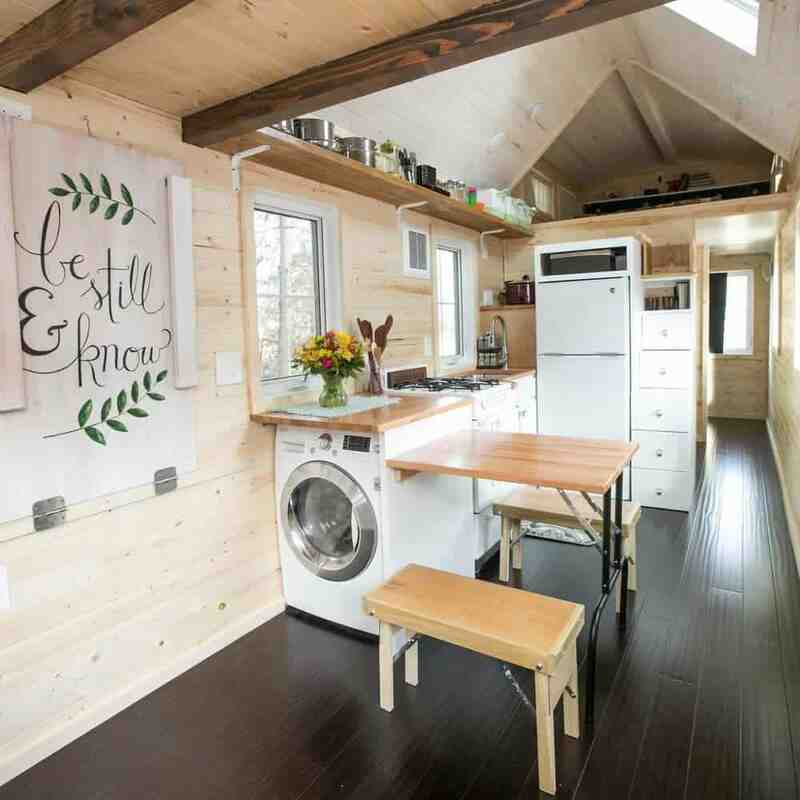 When they got back, they had learned a lot about tiny houses – and received two offers on their existing home. 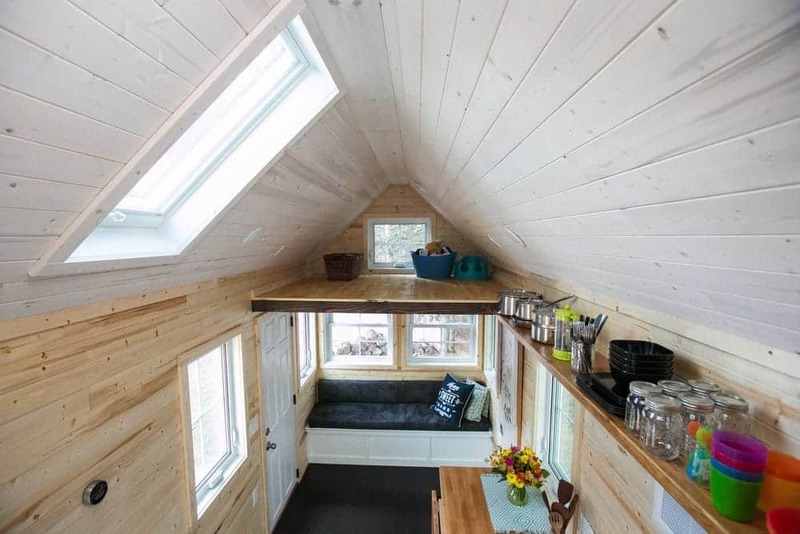 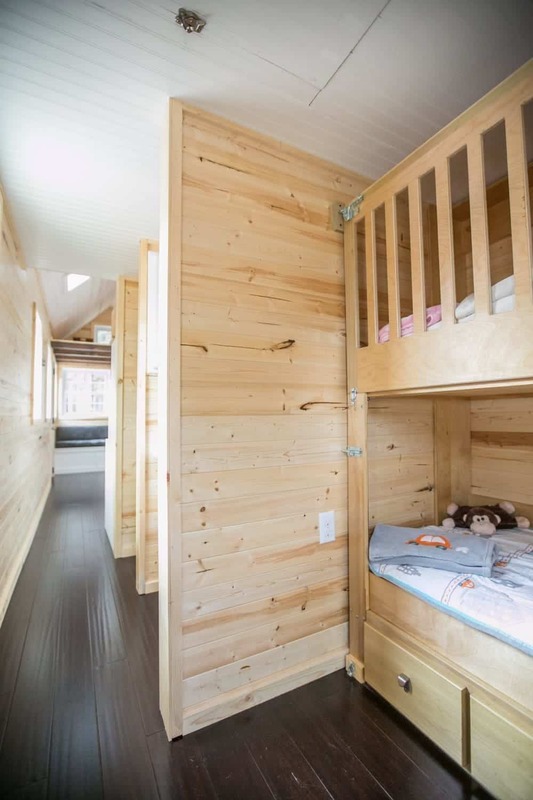 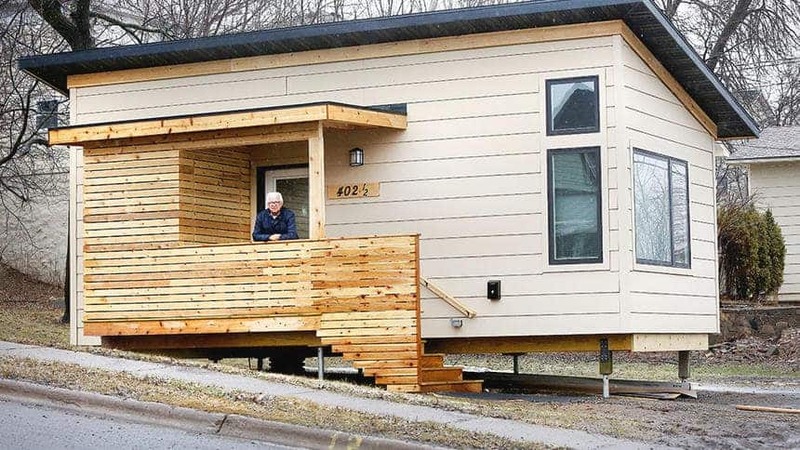 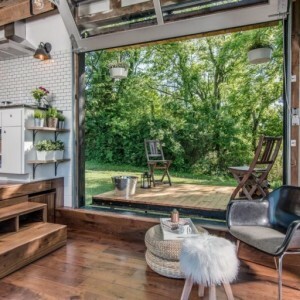 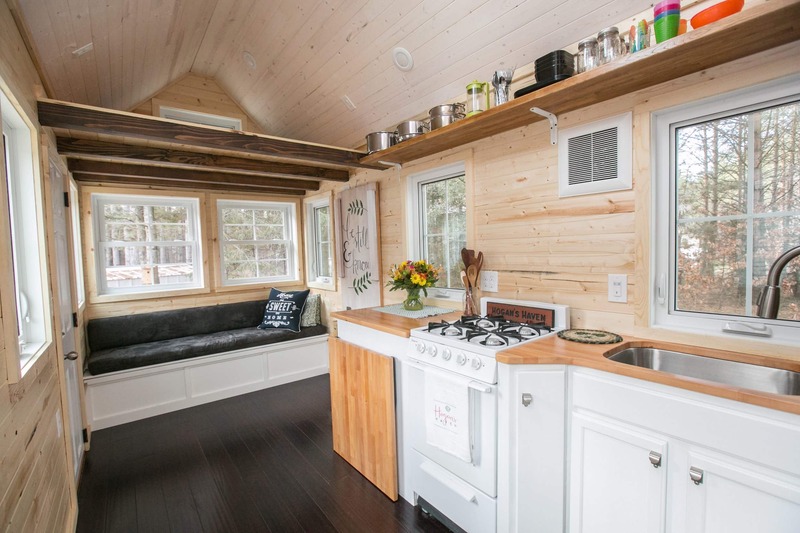 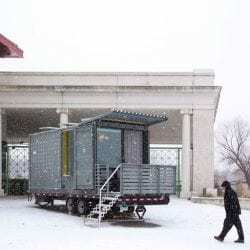 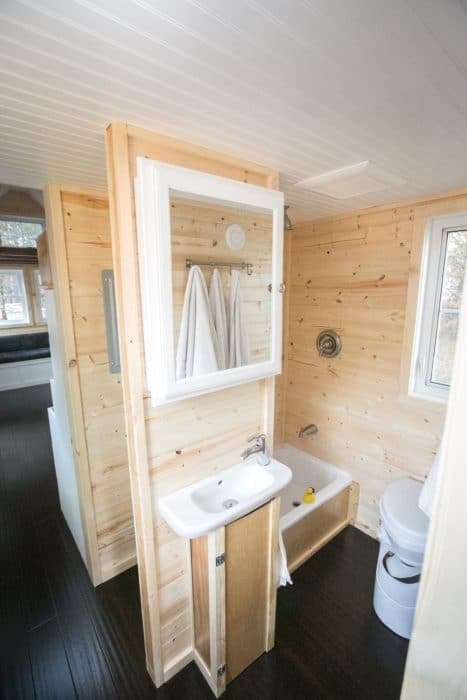 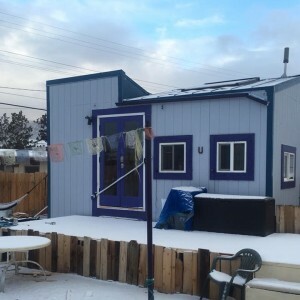 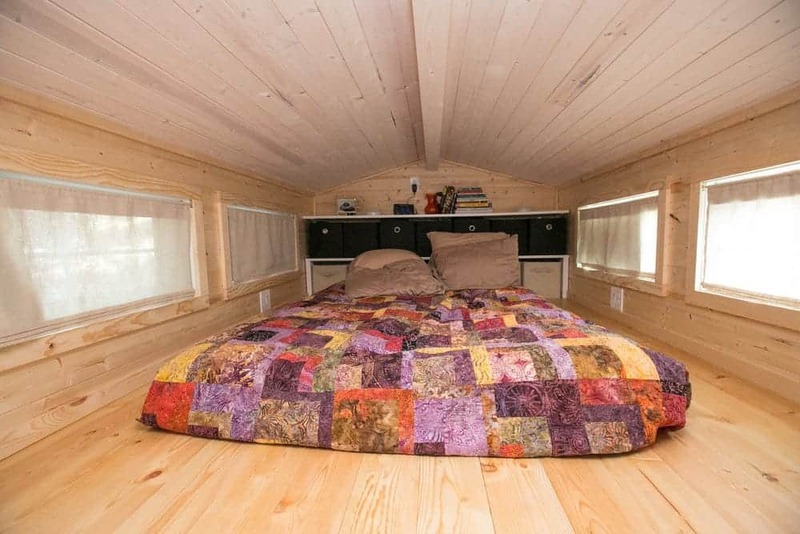 They immediately wrote to Tiny House Big Living, but weren’t accepted until August, which didn’t leave a whole lot of time to complete the build. 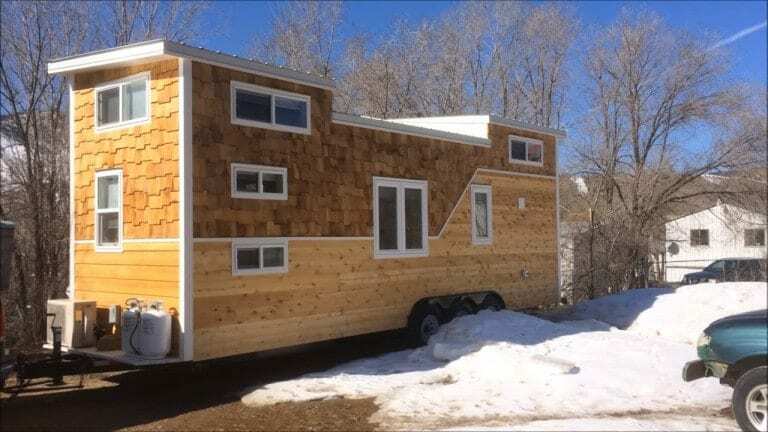 Fortunately JB Home Improvers was on hand to help out, doing a stellar job on Zac and Caitlin’s new triple-axle trailer home. The length allowed for a long, open living/room kitchen area at one end with some more privacy for the bathroom and kids’ bunk beds at the other. Zac and Caitlin sleep in a roomy loft bedroom, which is joined to a storage loft by a handy full-length roof-level shelf. 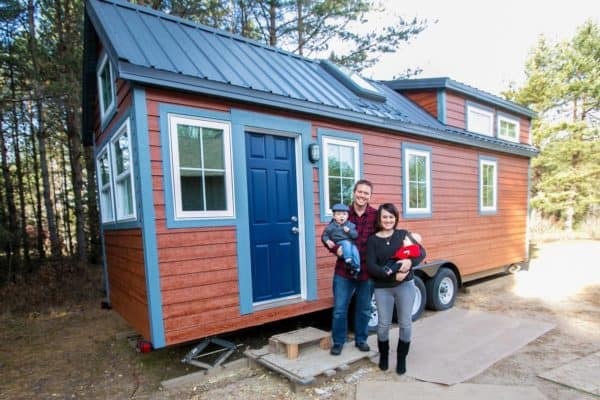 Their episode aired in April, but by then the journey had already outdone Lao-tzu’s proverbial thousand miles – the Hogan family relocated to Nevada, house and all, in February.